Office in a Box allows you to operate up to four IP phones together with super fast wireless broadband over our 4G business mobile network. 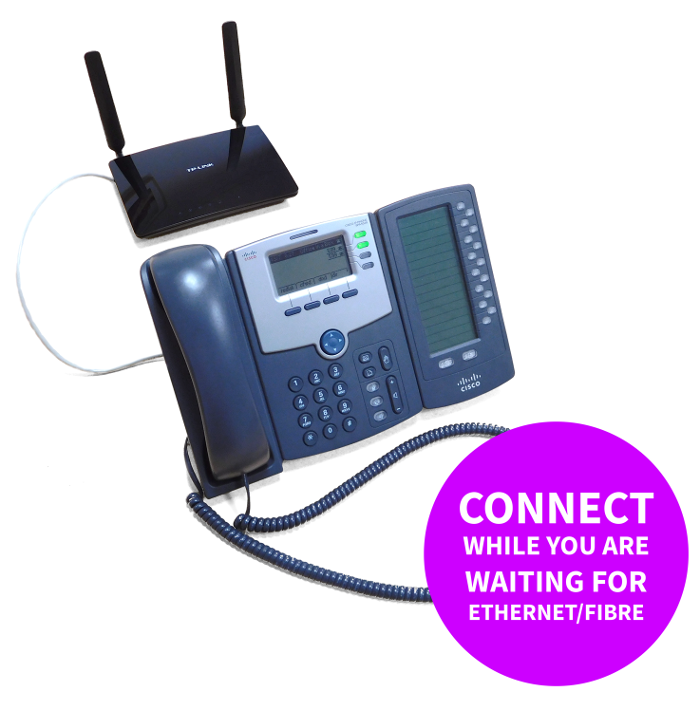 The system is quick and simple to set up, and with speeds of up to 50mbps Office in a Box is the perfect solution to power a mobile office or support you whilst you’re waiting for an Openreach installation. Our Office in a Box can also act as a backup to your ethernet connection, allowing you to power your business even if the worst should happen. The best part is you can use Office in a Box anywhere across the UK, all you need is a power supply and your office is operational.